Baked Teriyaki Chicken Bowl – A quick and easy recipe that the whole family will love! 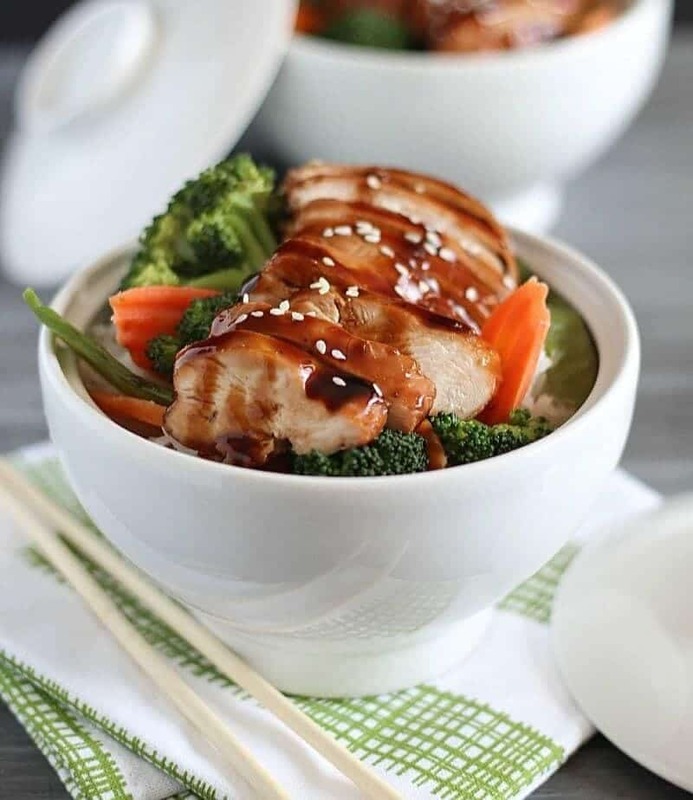 Topped with a delicious teriyaki sauce and served with steamed vegetables, this teriyaki chicken is a yummy dinner recipe that tastes better than the take-out! By Jen of Yummy Healthy Easy for I Heart Nap Time. This baked teriyaki chicken bowl recipe is SO delicious and has become a staple in my house. I cook dinner most nights, but my favorite night of the week is Friday when we usually grab take-out. One of my boys’ favorite take-out dinners is teriyaki chicken. We love getting it at our favorite nearby restaurant but honestly, it’s pretty expensive for what you get! I decided to try making my own chicken teriyaki at home, and holy cow. 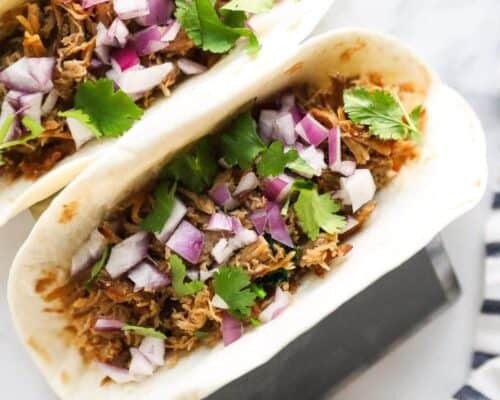 It’s way better than the take-out version! My boys beg me to make the teriyaki chicken recipe at home now instead of going out! 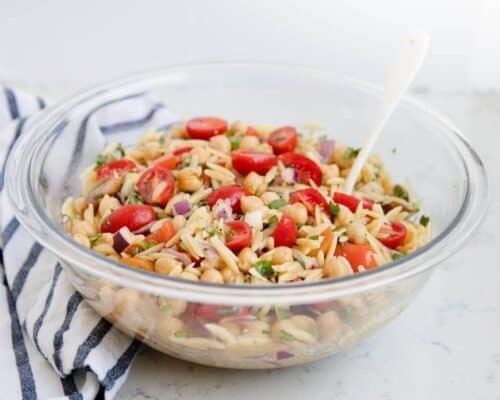 You get much more bang for your buck and it tastes absolutely amazing! If you’re looking to impress a certain someone for an upcoming dinner party, this is the prefect recipe for you. This teriyaki chicken makes an easy yet impressive dish! 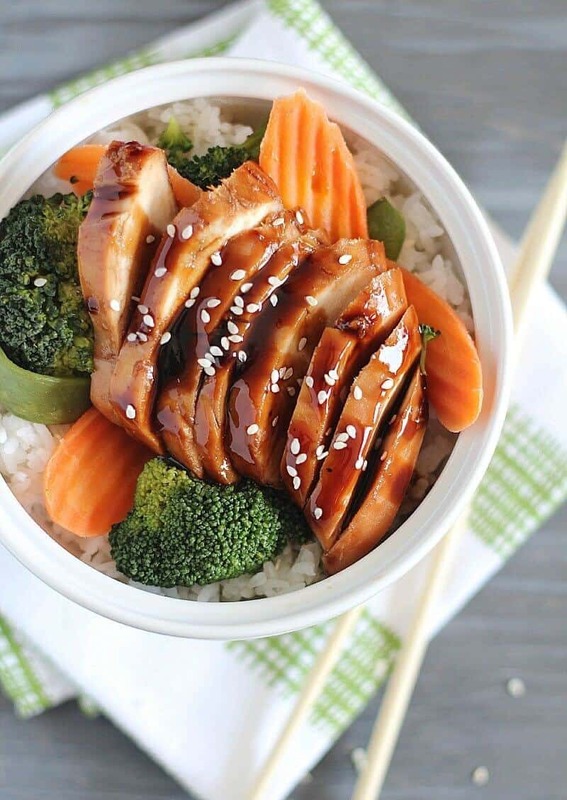 One of the best things about this teriyaki chicken bowl is that it’s super simple to make! You just cook a quick teriyaki sauce with only a few ingredients and then pour the sauce over a couple of chicken breasts. When it’s done, slice up the chicken and serve it over rice and steamed vegetables. Doesn’t get much easier than this! The teriyaki chicken recipe tastes better than take-out and is also healthier, too! 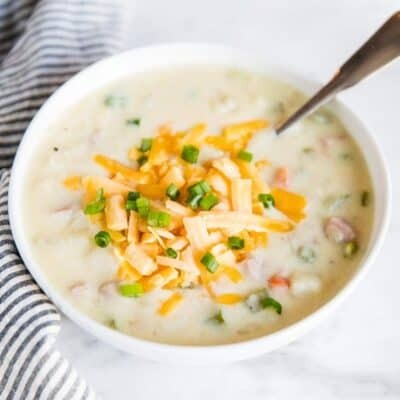 Such a quick and easy recipe that your whole family will love! 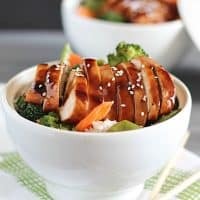 Baked Teriyaki Chicken Bowl - A quick and easy recipe that the whole family will love! 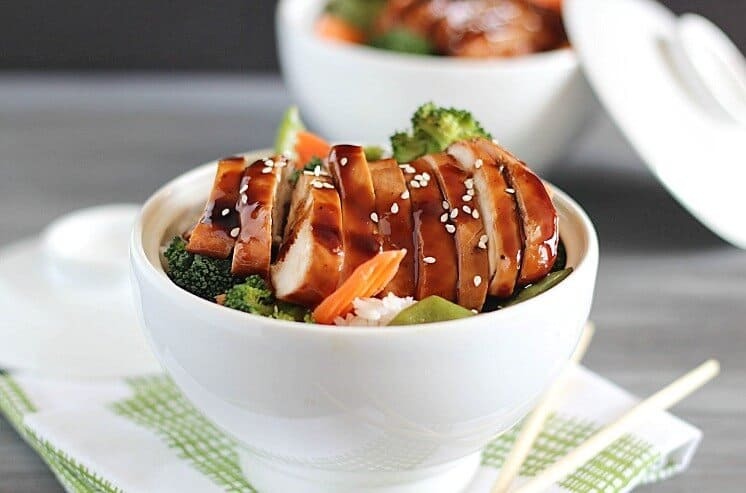 Topped with a delicious teriyaki sauce and served with steamed vegetables, this teriyaki chicken is a yummy dinner recipe that tastes better than the take-out! 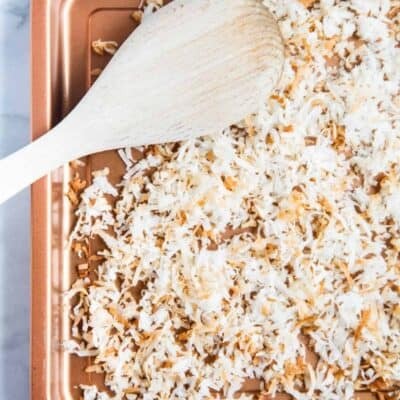 Preheat oven to 425º F. In a small saucepan over low heat, mix the cornstarch, water, sugar (or Truvia), soy sauce, vinegar, garlic, ginger and pepper. Let simmer for a few minutes, stirring until thickened. Spray the bottom of a 9×13 pan with cooking spray. Place chicken breasts in the bottom of pan and pour teriyaki sauce over chicken. Cover pan with foil. Baked covered for 25 minutes and then take the foil off and continue cooking for about 15 minutes, or until chicken is cooked through and no longer pink inside (165 degrees). Meanwhile, have your rice steaming in a rice cooker and cook your stir fry vegetables. Take chicken out and let cool while you prepare the teriyaki chicken bowl. Add rice to the bottom of the bowls, then a layer of vegetables. Slice up your chicken and layer on top. Drizzle with remaining teriyaki sauce and sprinkle with sesame seeds. Enjoy! This looks amazing, even your photography of the finished chicken dish looks as professional as could be. I would love to see a variation using brow rice, a low carb teriyaki sauce, and 100% white meat chicken (I think this one has that). 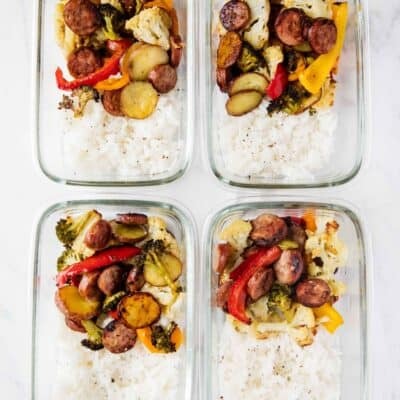 This would be the perfect weeknight dinner in our family! This looks so good! 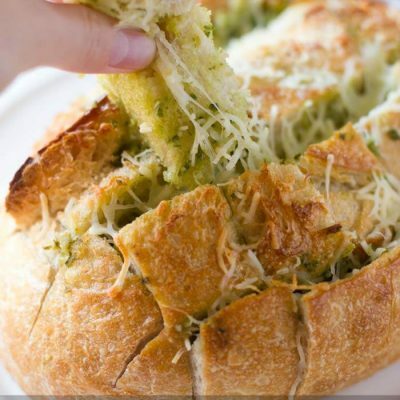 I want this for dinner asap! No need to order take out anymore! Looks so good! This was so simple and tasty! So fantastic ! While its cooking the smell is overwhelming, maybe just because I’m pregnant . Yay, I’m glad you enjoyed it! I always found cooking to be a bit overwhelming smell-wise when I was pregnant, too. Hoping for a healthy baby, health mama for you and your little one! Jen, these are so gorgeous! Congrats on your new position here. You really started off with a bang! Could someone please tell me the nutrition facts? Thank you!